TMA was formed by Mounir Abou Haidar. The airline started scheduled cargo services in 1959. It ceased operaitons briefly in 1985, and again in 1996. There was a change of ownership in 1993. 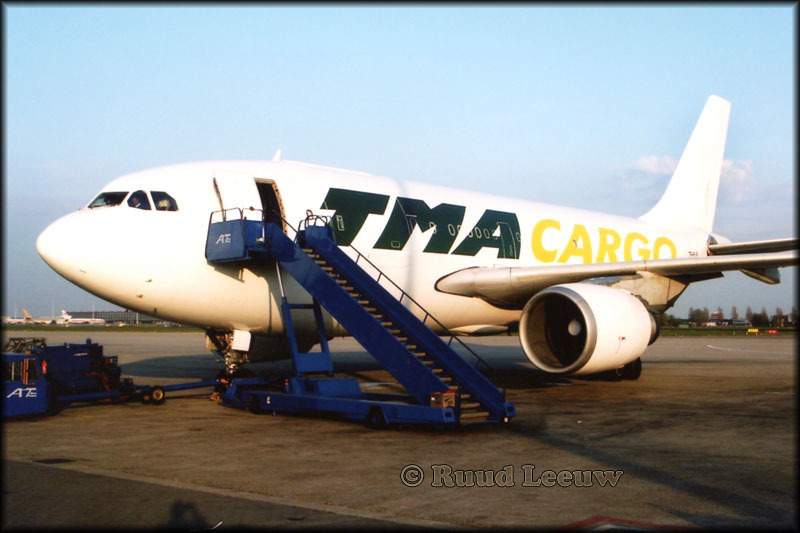 Trading as TMA Cargo from 2000, but operations were suspended in 2005. The ownership (and $60m debts) were sold for $1 from Banque Libano-Francaise to Flying Carpet's owner in Dec.2008. 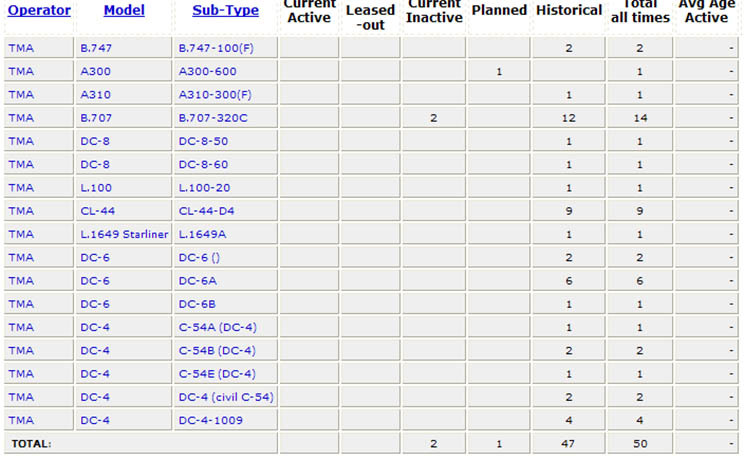 TMA maybe restarting with 2 freighter aircraft, Airbus A300-600F (as was announced in Nov.2009). 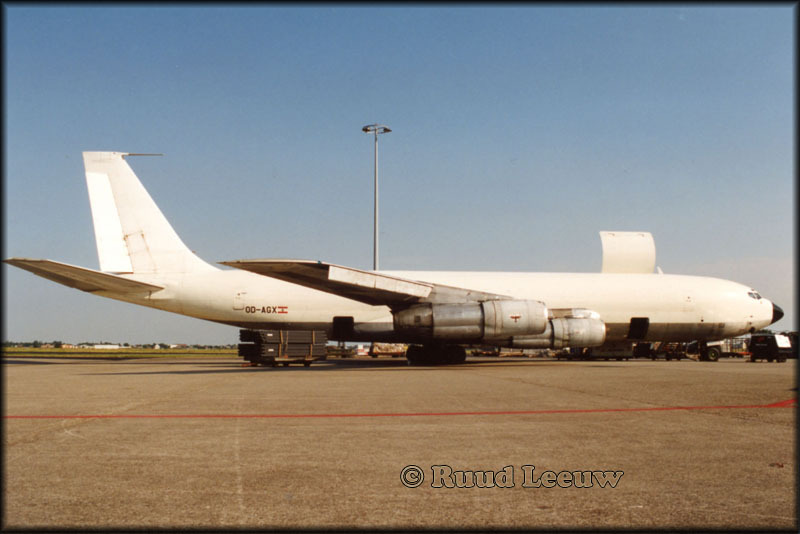 When I started working at Amsterdam IAP Schiphol during the 1970s, TMA of Lebanon was a regular there. 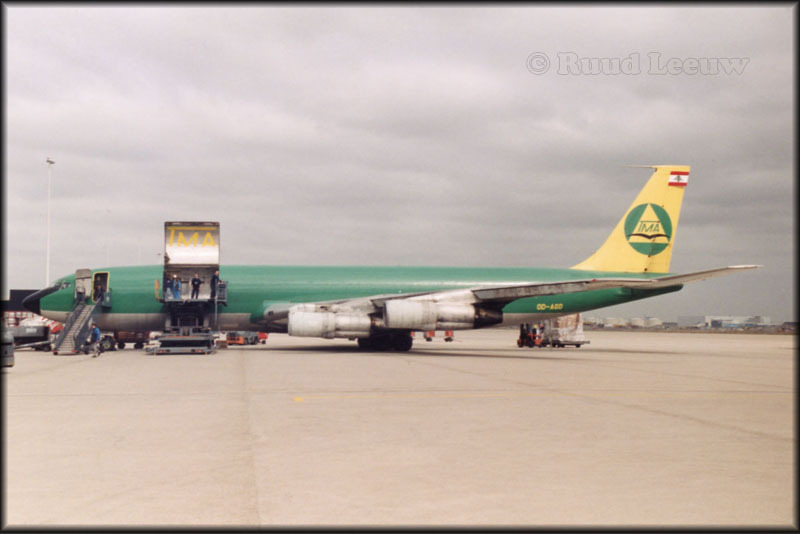 Boeing 707-323C OD-AGD (c/n 18939/437) shows the colours TMA was famous for. 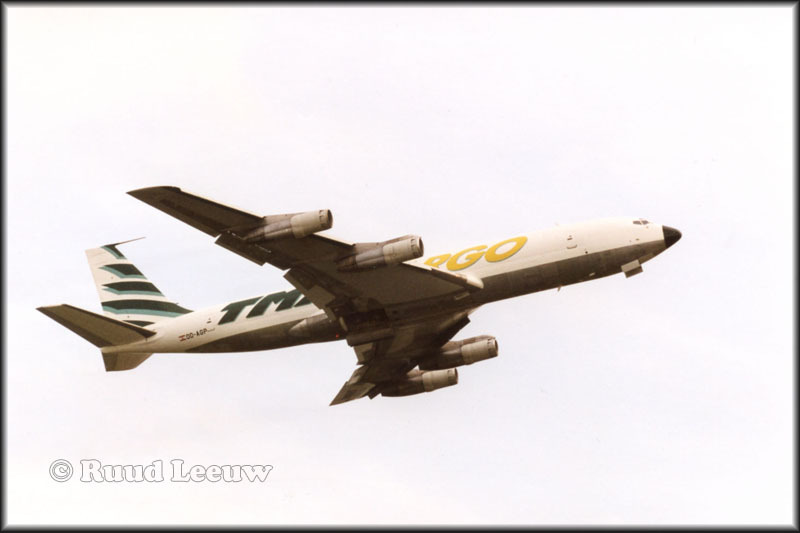 Taken in 1997.
based them at Amsterdam's Schiphol IAP. 707-321C OD-AGP (c/n 19274/594) seen in a roaring take off at Schiphol during April of 2000. Lebanon caused it temporarily to cease operations. This unrest at home undermined clients' confidence. Leased from Islandsflug, A310-307(F) TF-ELS (c/n 552) seemed to open a new bright future for TMA in 2002. But the lease ended and after having flown for Etihad in 2005 and 2006 moved on to Fedex (N817FD). on routes not operated by Middle East Airlines. But I don't think this worked out for them.